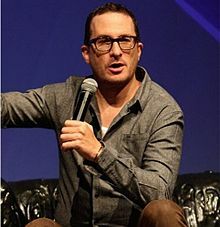 Darren Aronofsky has signed on to direct The Good Nurse, based on the book of the same name. The Good Nurse details the true account of one of the worst serial killers ever. Charlie Cullen was a nurse for 16 years, over 9 hospitals and in that time he may have killed 300-400 people. He made several attempts at suicide but was unsuccessful, Cullen claimed that he was putting patients out of their pain, but the truth was he just wanted to kill. Will bring you more news on this film as it becomes available.